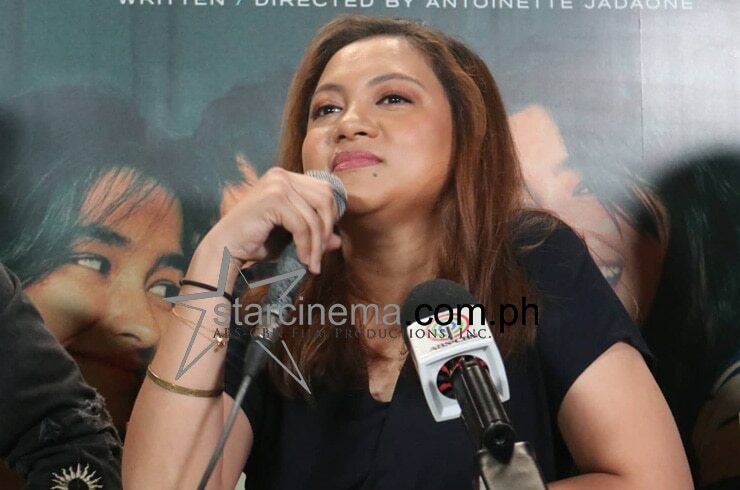 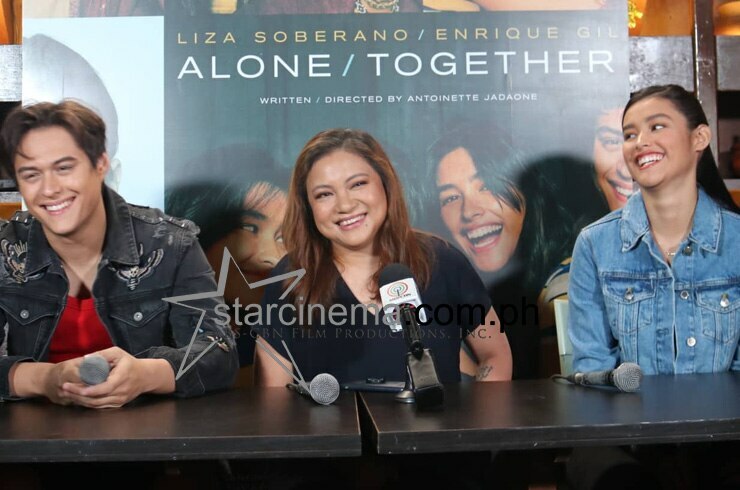 PHOTOS: LizQuen + Direk Tonet Jadaone spill 'Alone/Together' secrets! 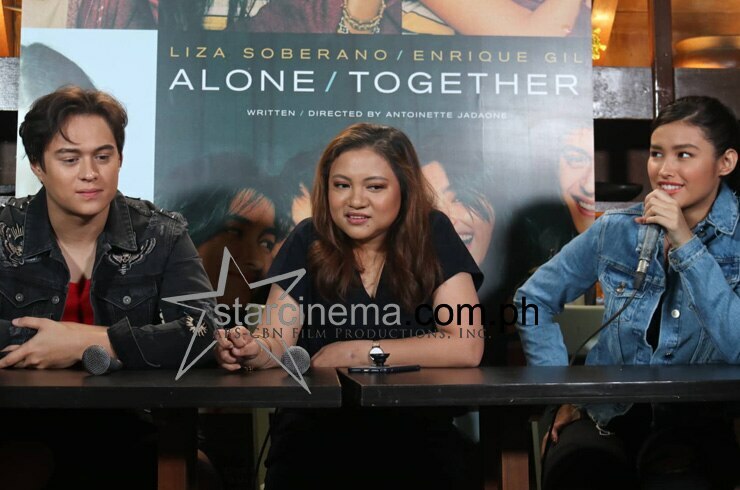 The "Alone/Together" trio held the first official conference for their much-anticipated film. 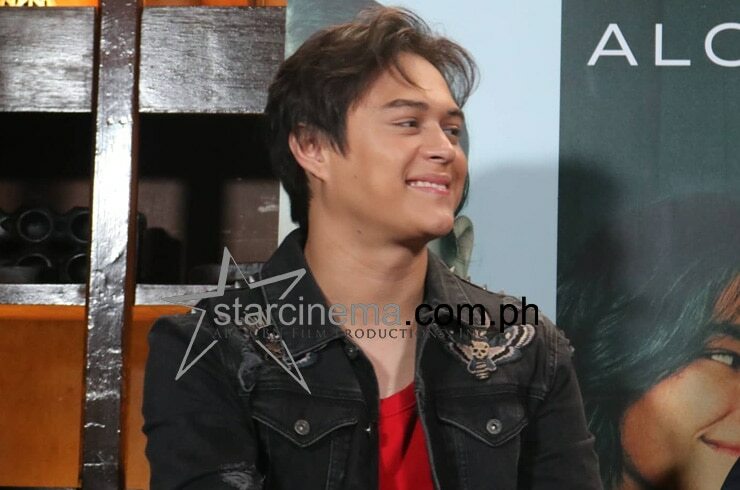 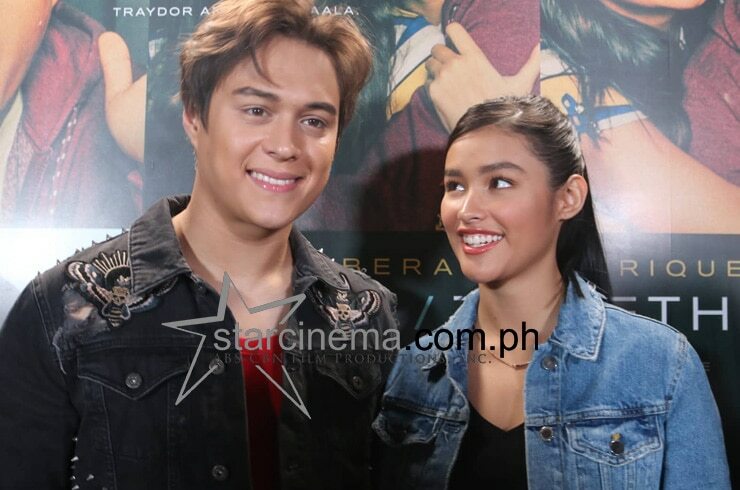 "Alone/Together" will be LizQuen's reunion film after 2017's "My Ex and Whys"
Enrique hinted at a possible kissing scene: "Magugulat ang fans"
Enrique says his role was "challenging"
Get you a girl who looks at you like Liza looks at Enrique! 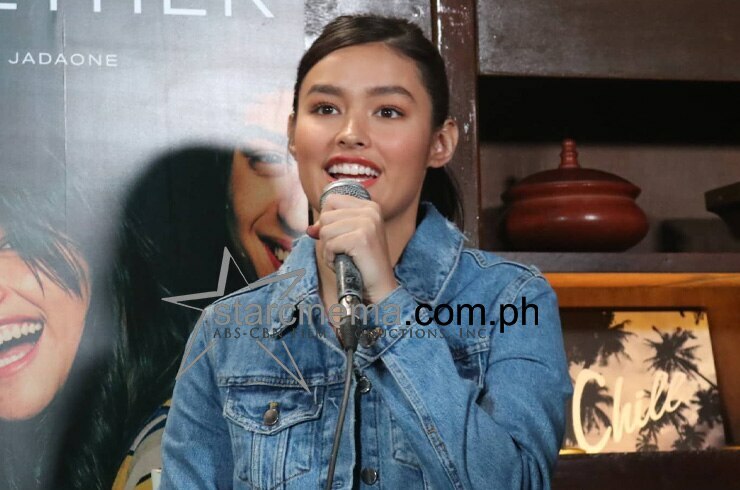 Liza Soberano was positively glowing during the event! 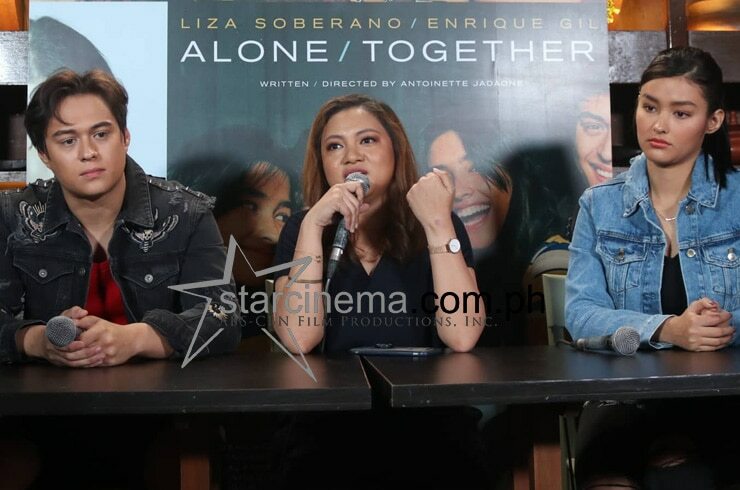 The dream team behind "Alone/Together"
The dream team behind the much-anticipated romantic drama "Alone/Together" Liza Soberano, Enrique Gil, and writer and director Antoinette Jadaone, held the first official press event for their film yesterday, January 30. 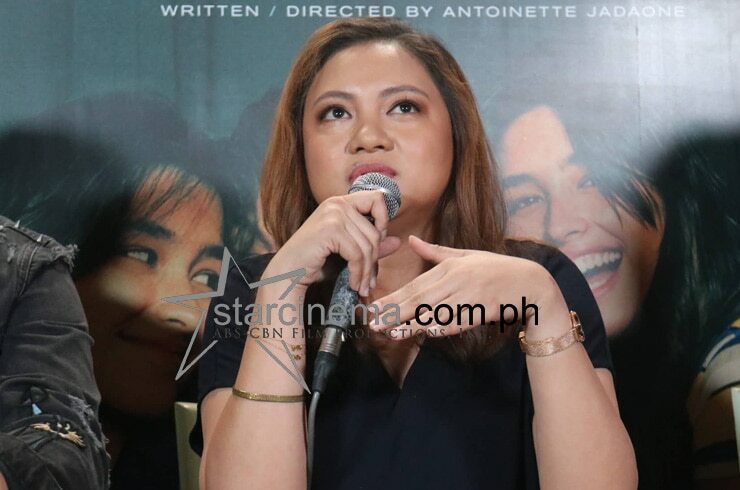 Set for release on February 13, yes, the day before Valentine's Day, the film will tell the love story of Raf and Christine from their days as college students all the way "real" adulthood. 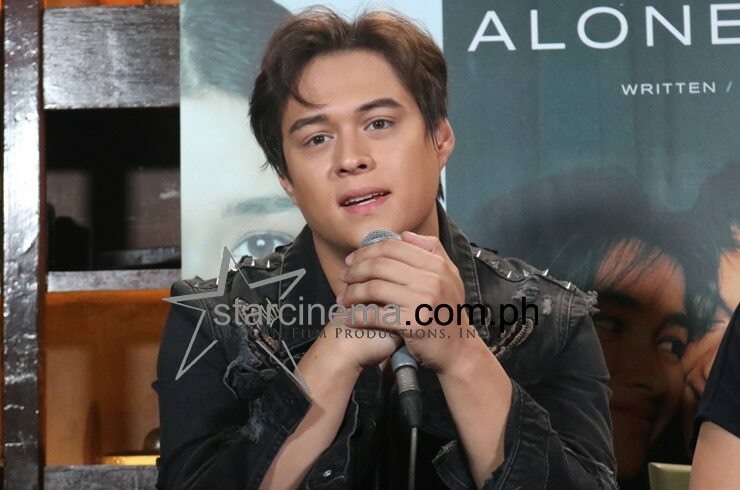 According to Enrique, we will see both characters' five-year growth. 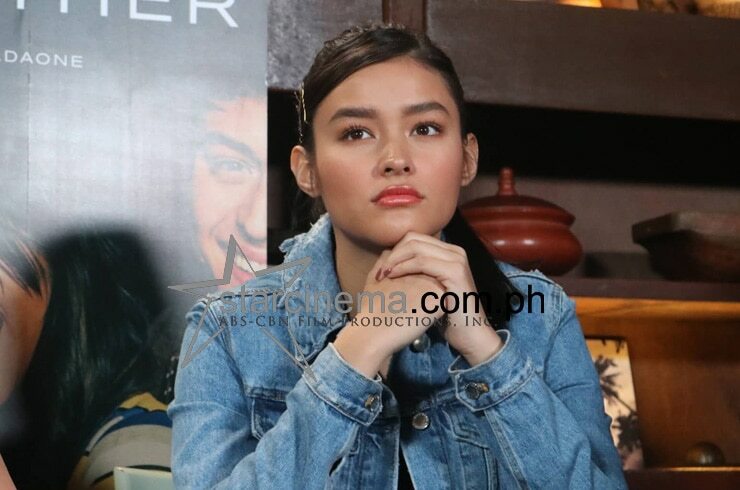 For photos from the meet-up and little tidbits of information from the trio, browse through the gallery above! 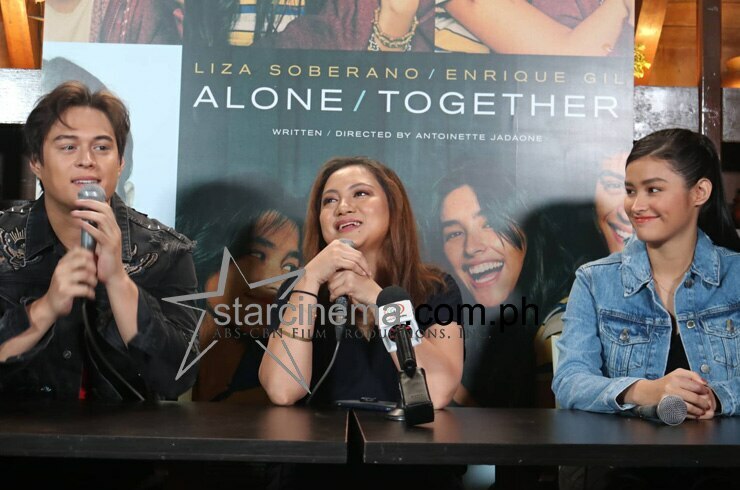 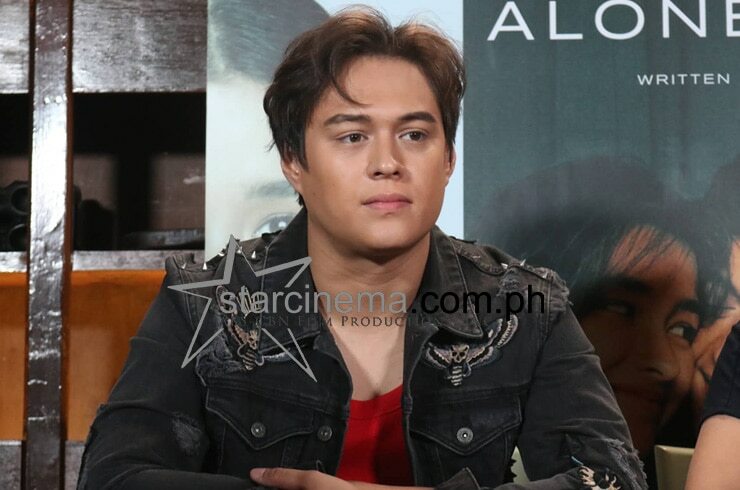 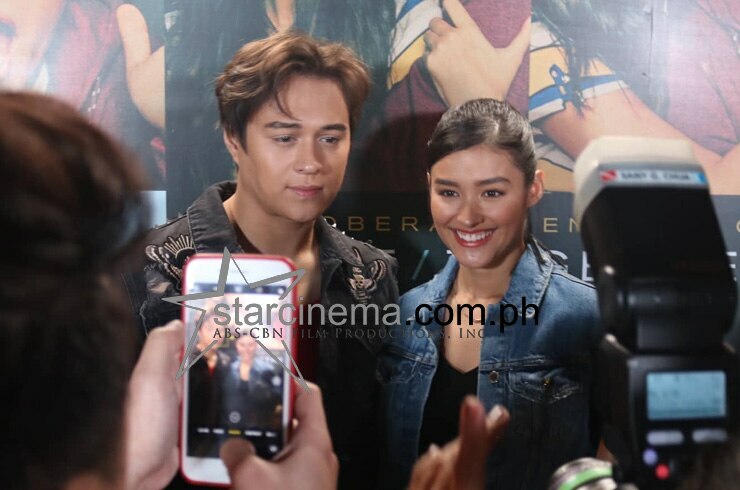 Produced by ABS-CBN Films' Black Sheep, "Alone/Together" will mark Liza and Enrique's return to the big screen after Cathy Garcia-Molina's blockbuster hit "My Ex and Whys" which was released back in February 2017. 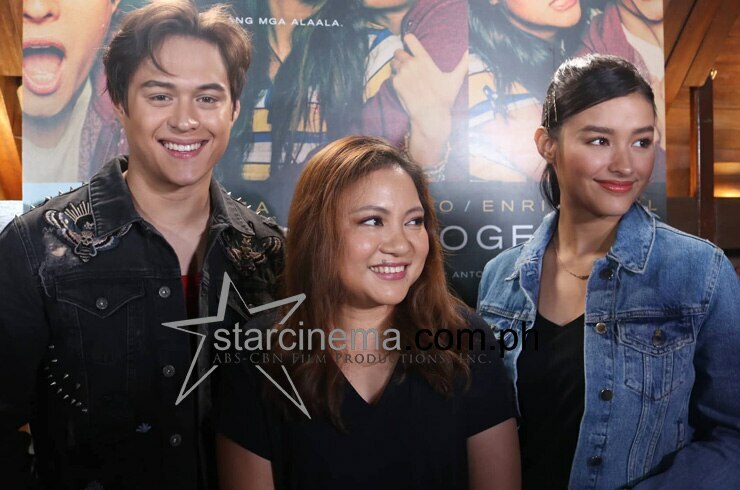 LizQuen in NY: 'Alone/Together' takes on the Big Apple!